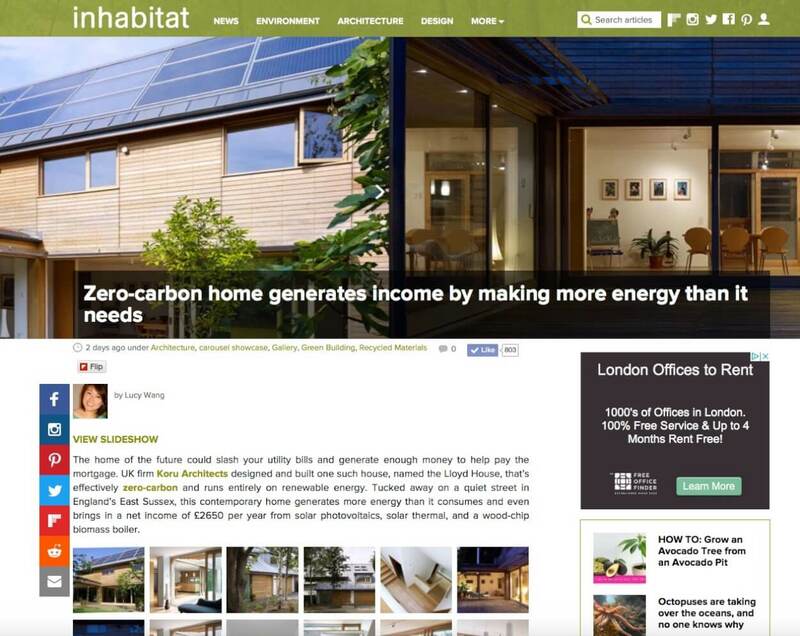 The popular online magazine Inhabitat, which covers the best in sustainable design news and inspiration, has published a major feature on our zero-carbon house and office at Lloyd Close, Hove. In the first two days after publication, it has amassed over 1,000 Facebook likes. You can read the full article on Inhabitat.com – which includes 22 high-resolution images, many of which we haven’t previously published. Want to know more about the featured project? You can download our in-depth case study report when you subscribe to our monthly Eco-Design newsletter.